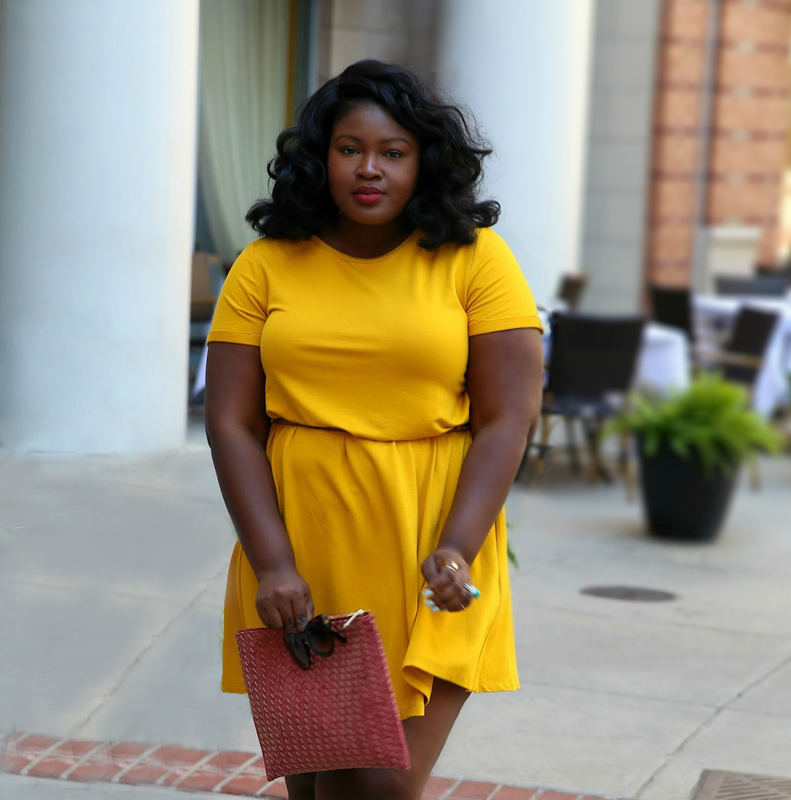 Hi, Chicsters today’s post is our plus size monthly news roundup, it took a little bit of a hiatus but its back and we’ve got the scoop for you! If you haven’t already seen the original sneak peak on the girl with curves blog you’ve missed out, but don’t worry we are here to fill you in on the tea. This collection is very polished and classy but still fun. For those of you who are more into the fun part of fashion, the mixed print skirt definitely caught my eye. If you’re into the more subtle prints the grid print poncho is the perfect transitioning piece. Speaking of transitioning pieces the navy trench happens to be my favorite that pleated back is to die for. 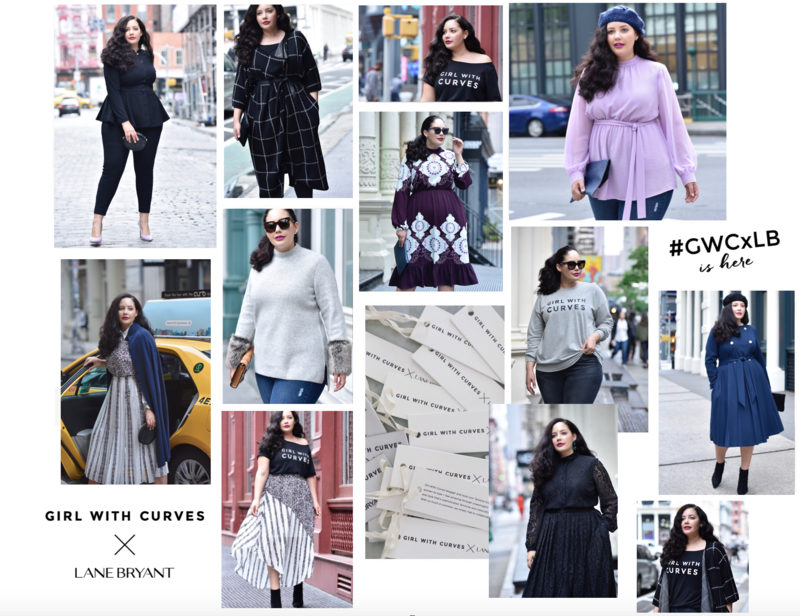 The collection is already available in Lane Bryant stores and online. I hear its almost sold out online so………. J Crew has now extended their sizing to a size 20. I always thought they had a fresh and timeless take on their pieces. And now it’s available for more of us to enjoy. Her sister brand Madewell has also extended her size range as well so if you are someone who values a quality foundation in your closet these two lines should not be missed. All I have to say is kudos to Khloe for this activewear line with Good American. Well for starters I love how you have the option to look at all the items on a model that you can relate to. When I look at this collection I see a lot of edge and I can also see it being worn as street wear. Since that athleisure trend seems to be here to say I’m a fan of the concept. The thing that caught my eye the most are the crops tops. For all you ladies who hit the gym often, I think this would definitely be a great buy because not only would it serve its purpose but this can also be fashion. So I know Old Navy has sold plus size online but know they also sell it in stores. This is a game changer for those of you who like to actually try on things and hate returning items. Also its perfect if you need something that day and don’t want to deal with the hassle of shipping. I’m all for it. The news is still coming. For those of you who watch Project Runway, you should be very familiar with the host Heidi Klum and the mentor for contestants Tim Gunn. It is sad to say that these two who we have grown to love are leaving the show and are moving on to Amazon making a new reality fashion series where they will be selling featured clothes. Although I am excited to see their next project together this is still bittersweet. Especially since season 16 was everything and of course we can’t forget the amazing plus size models that were on the runway. Previous Post Shop The Best Affordable Wide Calf Boots Now! Next Post Did We Just Find The Best Pair Of Jeans For Curves?